Coming less than a month after the successful launch of the Dragon SpX-8 mission, this is the first in a string of commercial missions set up for the rest of the year from Cape Canaveral as well as SpaceX’s West Coast launch site at Vandenberg Air Force Base as the company faces a very busy manifest. 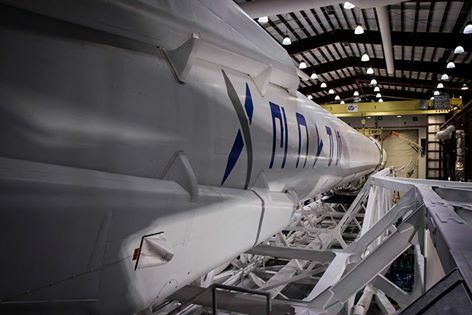 Originally planned for launch in the second half of 2015, JCSat-14 had to remain on the ground after the Falcon 9 launch failure on the Dragon SpX-7 mission, causing a multi-month stand down of Falcon 9 operations. The mission was eventually given a launch slot immediately following the SpX-8 mission and JCSat-14 was delivered to Cape Canaveral in mid-March by its manufacturer Space Systems Loral. At the Cape, the satellite completed its final set of testing operations as well as propellant loading before being readied to be encapsulated in the large Falcon 9 payload fairing. 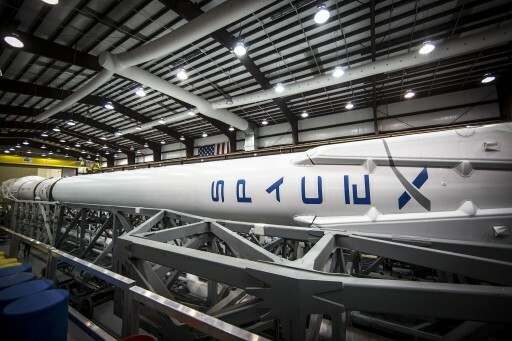 The two stages of the Falcon 9 took the usual route to the launch pad from SpaceX’s manufacturing facility in Hawthorne, California, stopping over at the company’s McGregor site in Texas for extensive testing operations including a full-duration hot-fire test to verify the performance of all subsystems during extended powered operation. 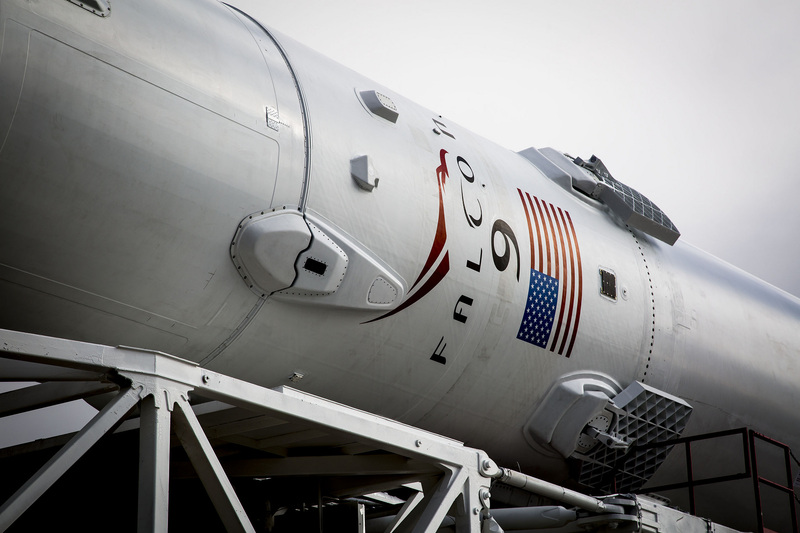 Falcon 9 arrived at the Cape in mid-April. The first stage underwent final inspections and had its four landing legs installed ahead of the mating of the first and second stages to mark the completion of the launch vehicle assembly process. 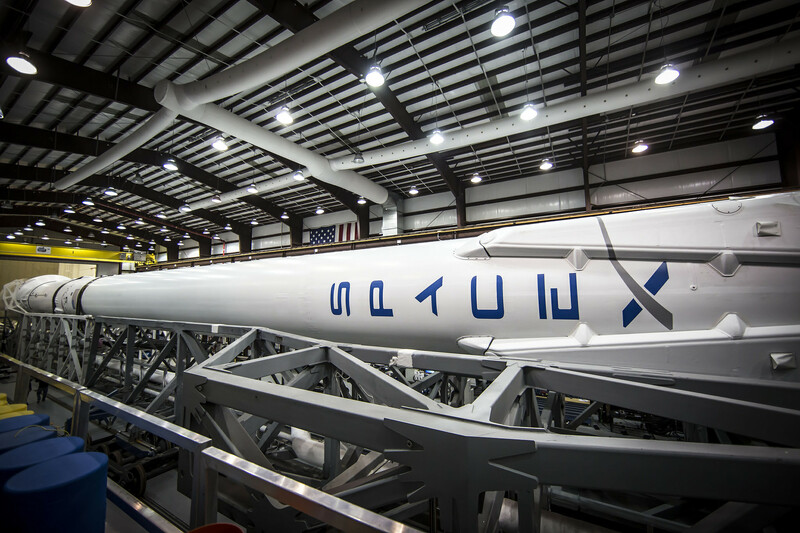 The Falcon 9 rocket, sans satellite & fairing, was rolled out to the launch pad at SLC-40 on Sunday and spent portion of the day in a horizontal position for final preparations on the vehicle. Moved to a vertical position, Falcon 9 was activated to complete a final set of checkouts before pressing into propellant loading for the Static Fire Test. The Static Fire has been a part of every SpaceX launch campaign and serves as a final end-to-end test of the all launch vehicle and ground systems to avoid any surprises on launch day. Falcon 9 ran through its expedited fueling sequence, being loaded with sub-cooled Liquid Oxygen, chilled Rocket Propellant 1, nitrogen ACS propellant and Helium tank pressurant. Although the second stage is not directly involved in the static fire, it was also tanked to check the integrity of the propellant system and the interfaces with ground support equipment. 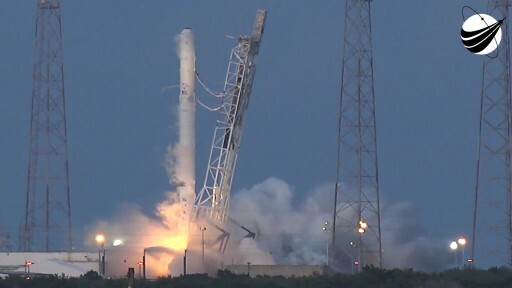 Heading into the last ten minutes of the Automated Countdown Sequence, Falcon 9 checked off the final milestones ahead of ignition, notably the chilldown of its nine Merlin 1D main engines, the transition to internal power, the retraction of the Strongback, the conclusion of propellant loading and the start of tank pressurization, and finally the transfer of control to Falcon’s onboard computers. 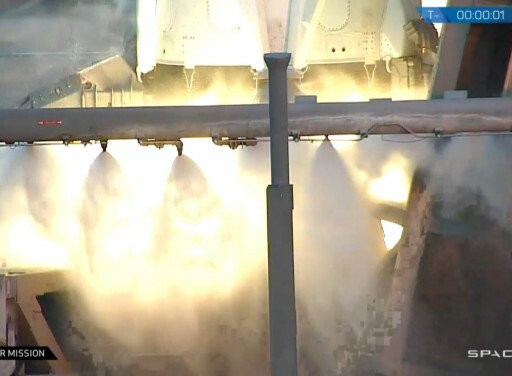 Three seconds prior to T-0, the typical green flames erupted from base of the first stage caused by the pyrophoric igniter mixture used by the Merlin engines. Turbopumps spun up to flight speed and the engines built-up thrust for a few seconds to allow performance data to be gathered ahead of a controlled shutdown of the engines. Immediately after the brief ignition of the nine Merlin engines, engineers completed a quick data review to verify the burn achieved the planned duration and the required parameters were recorded for further study. Once this confirmation was provided, Falcon 9 headed into de-tanking to be returned to a horizontal position ahead of the transfer back to the Vehicle Integration Facility. Reviews of the Static Fire will be underway in parallel with the installation of the JCSat-14 spacecraft atop the launch vehicle. The Launch Readiness Review will assess the status of all systems required to support the mission and confirm the launch date for the JCSat-14 mission which currently stands at ‘No Earlier Than’ Thursday, May 5 during a window of 05:21 – 07:21 UTC (01:21-03:21 local). Lighting up the night skies when departing Cape Canaveral, Falcon 9 will follow the usual flight profile for GTO missions with its first stage firing for just over two and a half minutes before handing off to the MVac engine of the second stage. The second stage will be tasked with a pair of engine burns, the first a little over six minutes in duration to push the stack into a slightly elliptical Transfer Orbit for a coast phase of 18 minutes to reach the equator in order for the second burn to place the high-point of the orbit over the equator, easing the process of maneuvering the satellite to Geostationary Orbit. The second burn, around a minute in duration, will set the stage for spacecraft separation into a highly elliptical Geostationary Transfer Orbit just over 30 minutes after liftoff. Sending the second stage on its way, the first stage will again attempt a landing on the Autonomous Spaceport Drone Ship (ASDS), aiming to follow in the footsteps of the SpX-8 booster that became the first to stand the landing atop the off-shore landing platform. However, the SpX-8 mission offered plenty of performance margin for the first stage to make its trip back to Earth. As a GTO flight, this mission will not have that luxury and the booster will be coming in hot as only a very limited surplus of propellants is available for the landing maneuver. 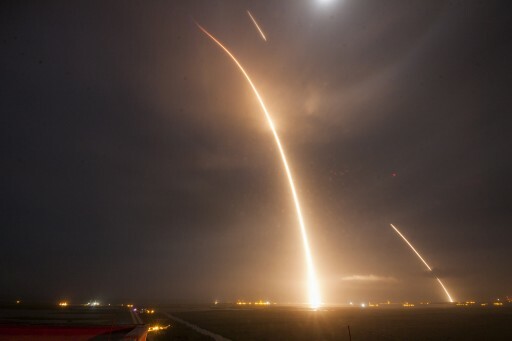 The ASDS “Of Course I Still Love You” was seen departing Cape Canaveral on Sunday to head for a position 660 Kilometers south east of the launch pad – much further downrange than for SpX-8, showcasing the difference in landing difficulty for the two missions. For SpX-8, the first stage had enough fuel to complete a boost back maneuver to limit its downrange travel distance and to slow down for re-entry, creating a less extreme environment when slamming into the dense layers of the atmosphere. For this GTO mission, the first stage will separate from the second stage at a higher speed (in excess of Mach 6) and no propellant is available for a boost-back or braking maneuver – creating a much more strenuous environment the booster has to endure at re-entry. A short re-entry burn will be performed using three of the Merlin 1D engines to slow the stage down and use the exhaust plume to shield the aft section of the rocket. Using its four actuated grid fins, the booster will maneuver during a short segment of unpowered atmospheric flight, correcting cross track errors and adjusting its angle of attack to fine-tune its downrange travel distance to set up for the critical landing burn. 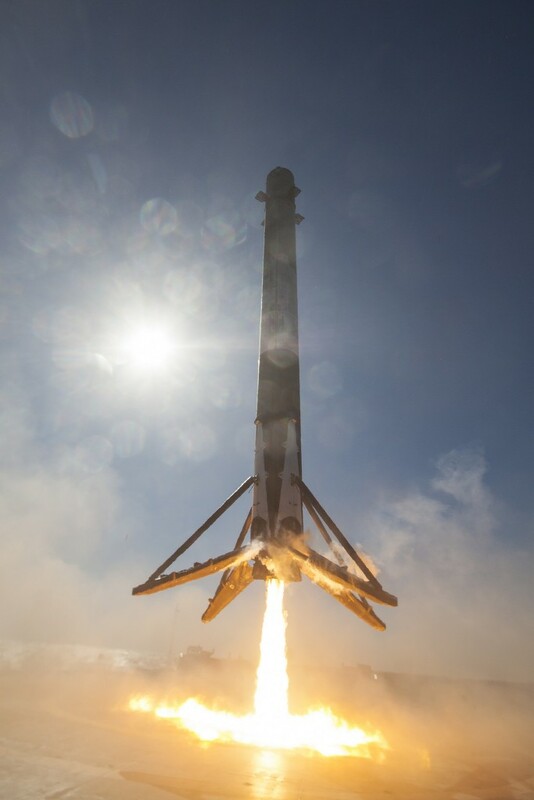 The previous GTO mission of Falcon 9 delivered the heavy SES-9 satellite and created the most extreme landing conditions to date with the first stage firing three of its engines as part of the landing burn which normally would only involve the center engine of the booster. Expectations of success were kept very low given the extreme nature of the final landing maneuver, but Falcon 9 was successful in maneuvering back to the ASDS and entered a vertical descent. However, the vehicle ran out of fuel and was not able to slow down sufficiently for landing, making a hard impact on the ASDS deck and punching a sizeable hole in the steel structure. For JCSat-14, a one-engine landing burn should be possible as a greater propellant margin post-staging should be available for this mission when compared to SES-9. 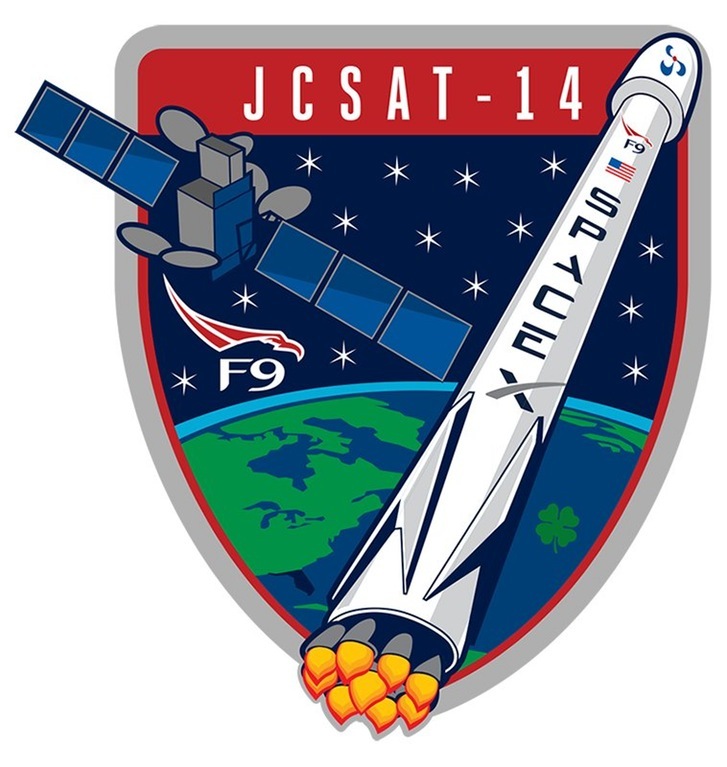 The mass of the JCSat-14 satellite has not been provided, not allowing for an assessment of margins involved in this mission and SpaceX has not yet revealed whether the mission will involve a one-engine landing. SpaceX may opt for another shot at a three-engine landing to gather more data on this particular landing technique as the company continues in its efforts to perfect the landing maneuver for high-energy missions, having now mastered landings on land and at sea in missions with higher margins. 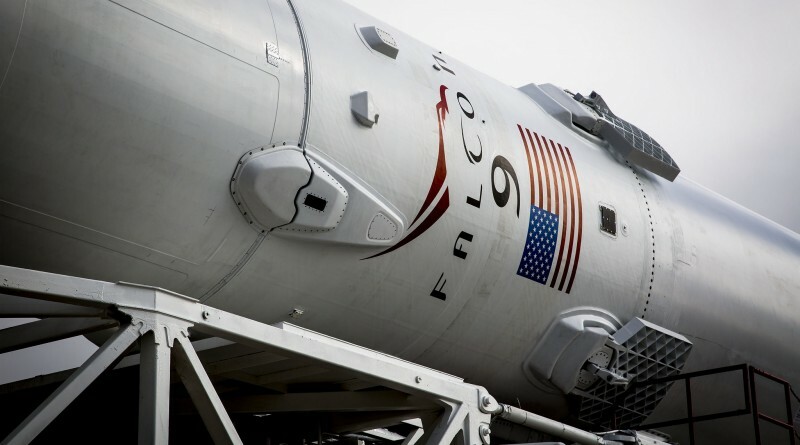 For the business model of regular first stage re-use to work out, SpaceX will need to recover cores for the majority of missions, including those with small margins like Thursday’s GTO launch. 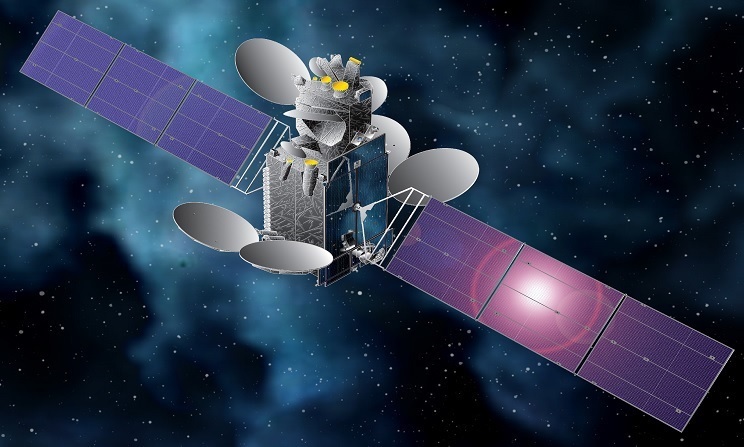 While all eyes will again be on the first stage landing attempt, the primary mission of Falcon 9 will be the delivery of JCSat-14 to its intended orbit from where it can make its way into Geostationary Orbit to a slot at 154°E to provide high-capacity communications coverage to Asia, Russia, Oceania, and the Pacific Islands. 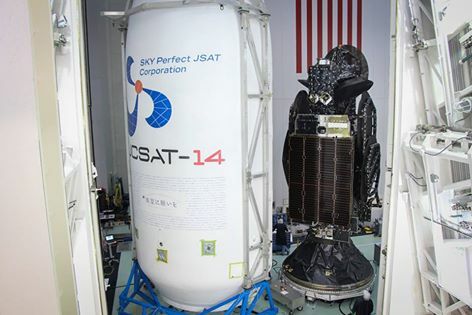 JCSat-14 is outfitted with 26 C-Band and 18 Ku-Band transponders to deliver high-speed connectivity for maritime, aviation and resource exploration users as well as TV Broadcast, mobile communications and data networks services.